What is Insuring Women’s Futures? Insuring Women’s Futures is a programme established and led by the Chartered Insurance Institute in collaboration with a wide variety of leading insurance professionals, businesses, policy and third sector organisations and experts on issues relating to women’s risks. Insuring Women’s Futures aims to evolve the insurance and personal finance profession‘s approach to women and risk, working with all those with a shared interest in improving financial security for women and society as a whole. Our research highlights that many risks experienced by people in Britain are disproportionately borne by women. By addressing the root causes of these risks and improving women’s financial resilience, we will improve financial security for all. Insuring Women’s Futures is part of the broader Insuring Futures initiative, improving the insurance and personal finance profession’s understanding of, engagement with and support for the whole of society. Insuring Women’s Futures is led by the Insuring Women’s Futures Committee comprising leaders from across the U.K. and global insurance sector together with expertise from society. It is supported by an Advisory Panel of experts on a range of issues including pensions, health, academic research, legal, inclusion and financial planning. Details of the governance for the programme and the Market Task Force that has been established to take forward the findings in our research into women’s risks in life are outlined below. Insuring Women’s Futures has formed associations with the following organisations: UN Women UK, International Finance Corporation, Fawcett Society, Inclusion @ Lloyd’s, Insurance Supper Club, Insurance United Against Dementia, Women of the World Foundation. Understanding the personal and professional risks women face across society and their experience of insurance and personal finance to enable improvements in the way the profession supports women. Identifying new and improved valuable insurance and financial planning solutions for women’s risks, including approaches to engagement, information and guidance, together with supporting women’s preferences as personal and professional buyers of insurance. Improving the profile of women in the profession, in particular increasing the number of women at senior levels and making the profession more attractive to female talent and better placed to serve women’s needs in society. This International Women’s Day sees the launch of new research into women’s financial engagement and the publication of a unique guide for women to take control of their financial futures. • 27% of women feel worried when thinking about managing personal finance, 11% reported feeling intimidated, and only 15% feel it is important. Just 21% of women say they feel positive and only 30% say it makes them feel on top of things. • 72% of women have never set up a private pension, for stocks and shares ISAs this rises to 79%, and 57% have never consulted a financial adviser. • Only 32% of women agree or strongly agree they enjoy managing finances and 35% say talking about investments, insurance and pensions leaves them feeling cold. 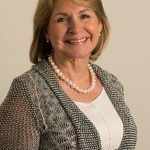 “6 Moments that Matter – how to secure your financial future” is the result of a body of research led by Jane Portas, Insuring Women’s Futures co-founder and Partner PwC, which identifies 12 Perils and Pitfalls that culminate in a lack of financial security throughout women’s lives. For the first time, this research has been made available in an easily accessed and actionable digital format for any woman or girl to apply to her own circumstances and plan the financial future she wants for herself. Insuring Women’s Futures is a Programme established and led by the Chartered Insurance Institute in collaboration with a diverse range of leading insurance professionals, businesses, third sector organisations and experts on issues relating to women’s risks. Senior leaders from across the insurance profession are joining forces to improve women’s resilience to risk. The new task force is being formed as part of the Insuring Women’s Futures (IWF) programme and will develop new and innovative solutions to the risks that women face in life.IWF is a programme of change led by the Chartered Insurance Institute (CII) to improving the sector’s knowledge of women’s risks, the representation of women at every level of the profession and access to solutions to those risks. Identifying new and improved insurance solutions to women’s risks. Senior Executives across the profession have joined forces to form a committee to lead the Insuring Women’s Future’s (IWF) programme. IWF is a programme of change, led by the Chartered Insurance Institute (CII), which will challenge accepted convention and drive education and innovation to ensure insurance and financial planning products fully respond to the risks faced by both genders and society more generally. IWF recognises that currently women are less engaged with insurance protection products and services than men and as a consequence are under-protected. Sian Fisher, Chief Executive Officer at the CII and Chair of the committee, said: “Women represent just over half of the UK population, and yet their access to and use of, insurance and financial protection is limited when compared to their male counterparts. This is at a time when in today’s society, women are exposed to an array of risks distinct from men, including different health risks, increased life expectancy and in their role as carers and working parents – essentially, we need to reinvent insurance for women. 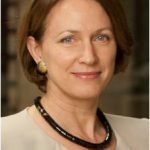 The Founder Committee of Insuring Women’s Futures is delighted to announce Inga Beale, CEO of Lloyd’s, as its Patron. Insuring Women’s Futures is a programme established by the Chartered Insurance Institute (CII) to help reinvent insurance for women. The launch by the CII of Insuring Women’s Futures, which will be chaired by Sian Fisher, newly appointed CEO of the CII, coincides with its sponsorship of WOW – Women of the World Festival at London’s Southbank Centre on Friday 11th March 2016. The Founder Committee also includes Jane Portas and Barbara Schonhofer, Founder of The Insurance Supper Club. ‘Insuring Women’s Futures’ recognises the vital socio-economic role the insurance sector plays in relation to the women’s risk agenda: understanding the risks women face in life, providing risk solutions, and harnessing female talent. Further details of this programme of change to modernise our profession’s approach to women, society and risk may be found on the CII microsite insuringwomensfutures.co.uk. Founded in 2011 by Jude Kelly CBE, WOW has become the leading global festival for gender equality. It celebrates the achievements of women globally, while also highlighting the risks faced by women in society today. Inga Beale will be speaking at WOW Friday. The IWF Committee is responsible for setting the direction, and overseeing the overall delivery, of the IWF Programme of activity; it is supported by an IWF Working Group which is responsible for driving programme activity delivered by the CII team. The IWF Committee has formed an Advisory Panel of leading experts from both within and outside of the profession with whom to consult in relation to programme activity. It has also formed an Associate Group of organisations and parties sharing a complimentary ambition with the aim of collaborating to achieve common goals. Insuring Women’s Futures Market Task Force Insuring Women’s Futures is supported by a Market Task Force comprising the following firms and individuals who are committed to leading delivery of the Manifesto on behalf of the insurance and personal finance profession. The Market Task Force is further supported by an extensive range of individuals and firms from across financial services, as well as policy experts, regulators and representatives from the third sector. We are grateful for their support. Barbara Schönhofer is Chief Executive of Schonhofer. She manages board and senior management search assignments. She has consulted insurance companies internationally in insurance and reinsurance covering the property and casualty, life and non-life, pensions and health, and protection insurance markets. Barbara has successfully partnered with leading industry organisations in the acquisition of business critical senior-level talent including Board Members, CEOs and other C-Suite roles for over 20 years. Barbara brings 40 years of strategic business leadership and top level executive search experience in financial services to our clients. She is an entrepreneur and philanthropist and her interests have led to extensive networks inside and outside financial services into broader industry and the public sector including government, the arts and not for profit organisations. Since embarking on her 21 years in executive search Barbara initially built and lead an international insurance practice over a seven year period for an executive search firm which had offices in London, New York, Hong Kong, Tokyo and Singapore. She then became a partner with KFI and for the next two years started up its first European based insurance practice before co-founding ejsSearch which grew to be an industry recognised boutique executive search business and precursor to Jacobson and now operating as Schonhofer. Barbara Schönhofer worked for 18 years in financial services as business leader culminating in being a first mover in the building society sector by setting up and leading a centralised lending platform which still exists today as a large lending business. Barbara has been highly influential for over a decade in persuading the UK insurance industry to look carefully at inclusion and diversity and was instrumental in founding TWIN (The Women in Insurance Network), ISC (Insurance Supper Club) and iWIN (Independent Women Insurance Network (iWIN) for the Worshipful Company of Insurers (WCI). This work has led to Barbara being awarded the “Woman of Excellence – 2014 Award” by The National Association for Female Executives. More recently she has started HTS Stargate to support the faster advancement of aspiring female leaders and is a founder member of IWF (Insuring Women’s Futures) leading Women & Risk recently launched by the CII (Chartered Insurance Institute). She is a member of the Insurance Institute of London and a Freeman of the City of London and a Liveryman of the Worshipful Company of Insurers and is a SAFE Ambassador for the Manchester based charity SAFE Ambition. Graduated from the London School of Economics in 1979 with a language degree. Went on to qualify as a chartered accountant in 1982 and worked in the accounting profession at KPMG until 1985. Joined the Corporation of Lloyd’s and during the ensuing 14 years was variously responsible for accounting, solvency, reporting, membership and capital matters affecting Lloyd’s members, underwriting agents and brokers. Was involved in the Lloyd’s Reconstruction and Renewal plan. In 1999, Barbara became Managing Director of the Omega Group and then joined the Hardy Underwriting Group as CEO in 2002. Hardy manages syndicate 382 at Lloyd’s which underwrites a broad mix of business including marine, aviation, energy, property, specialty and catastrophe reinsurance. The Group was listed on the London Stock Exchange until it was acquired by CNA based in Chicago in July 2012. Barbara stepped down as CEO in early 2014. Barbara has served two terms on the Lloyd’s Market Association Board and has chaired the LMA’s training and development committee for six years. She was a member of the Council of Lloyd’s from 2007-2009. She is a member of the Court of the Worshipful Company of Insurers and a Vice President of the Insurance Institute of London. Currently, Barbara is closely involved in a number of initiatives associated with talent management and the diversity and inclusion agenda, namely the [email protected]’s group, the Insurance Supper Club, and iWIN, the women’s forum established under the auspices of the Worshipful Company of Insurers; she has a number of charitable interests, including as a trustee for the Barbican Arts Centre and a fundraiser for the charity Women for Women International; she is a business angel investor and a non-executive director for Domestic and General Insurance Limited. Mr. Denis Duverne is a graduate of the École des Hautes Études Commerciales (HEC). After graduating from the École Nationale d’Administration (ENA), he started his career in 1984 as commercial counsellor for the French Consulate General in New York before becoming director of the Corporate Taxes Department for the French Ministry of Finance in 1986. In 1988, he became Deputy Assistant Secretary for Tax Policy for the French Ministry of Finance and, in 1991, he was appointed Corporate Secretary of Compagnie Financière IBI. In 1992, he became a member of the Executive Committee of Banque Colbert, in charge of operations. In 1995, Mr. Denis Duverne joined the AXA Group and assumed responsibility for supervision of AXA’s operations in the US and the UK and managed the reorganization of AXA companies in Belgium and the United Kingdom. From February 2003 until December 2009, Mr. Duverne was the Management Board member in charge of Finance, Control and Strategy. From January 2010 until April 2010, Mr. Duverne assumed broader responsibilities as Management Board member in charge of Finance, Strategy and Operations. Since April 2010, Mr. Denis Duverne has been director and Deputy Chief Executive Officer of AXA, in charge of Finance, Strategy and Operations. Mid-2014, Mr. Denis Duverne became a member of the Private Sector Advisory Group (PSAG), which brings together international leaders of the private sector whose shared goal is to help developing countries improve their corporate governance, co-founded in 1999 by the World Bank and the Organisation for Economic Co-operation and Development (OECD). Dame Inga Beale, DBE joined Lloyd’s in January 2014. Previously she was Group Chief Executive of Canopius, the prominent Lloyd’s managing agent. Prior to that she spent four years with Zurich Insurance, including a period as Global Chief Underwriting Officer, and was Group CEO of Converium Ltd, the Swiss mid-sized independent reinsurance company. While at Converium, she led a major turnaround of the business before it was acquired by SCOR in 2007. Beale started her career as an underwriter with Prudential before spending 14 years in a variety of international roles for GE Insurance Solutions. Inga is a Committee Member of the Insurance Supper Club and a Vice President of the Insurance Institute of London. John O’Roarke, an acknowledged heavyweight in the insurance sector, joined Horwich Farrelly from LV= where he had spent the last decade, most recently as Managing Director.He joined LV= in 2006 with the remit of turning around the ailing Liverpool Victoria/Frizzell general insurance business. Over the next nine years he led a transformation programme which resulted in LV= becoming the UK’s third largest car insurer as well as the UK’s most trusted and most recommended insurer.Prior to joining LV=, John was Chief Operating Officer for RBS Insurance and Managing Director of Churchill Insurance, which grew from a £3m start-up to become a £2bn+ premium business and the UK’s most recognised insurance brand.John O’Roarke is a qualified Chartered Accountant but left the accountancy profession to begin his insurance career with AIG in 1984. Between 2013–16, he was also Chairman of the Insurance Fraud Bureau and Chair of the ABI’s Financial Crime Committee. Jane Portas is a Partner at PwC with 29 years’ experience of advising international insurance businesses on prudential and conduct regulation, risk management, related strategic business change and group structure optimisation. She has also held various regulatory policy and supervision roles, both directly at the UK regulator, and more widely advising international regulators. Alongside her regulatory and client leadership roles, Jane leads PwC’s focus on financial inclusion as well as the firm’s Insurance Brexit services. In January 2017, she was invited to provide expert evidence to the UK Treasury Select Committee on Solvency II and the options for the UK regime post Brexit. Jane holds various roles in her personal capacity. Alongside Co-Founding Insuring Women’s Futures and leading the Women’s Risks in Life work, she is a Vice President of the Insurance Institute of London, a member of the London Market Group Brexit Task Force and a Committee Member of the Insurance Supper Club, a global network of senior female insurance professionals. Sara joined EC3\Legal as a director in 2016. 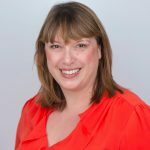 She is both a solicitor and Associate of the Chartered Insurance Institute.Sara has 17 years’ insurance industry experience gained within law firms and London and Lloyd’s market insurers and MGA businesses. Sara has worked across the claims, corporate development, operations, governance and risk areas.Having qualified as a lawyer practicing in PI/EL/GL and insurance coverage, she joined Lloyd’s and company market insurer Catlin as Claims Counsel before becoming Claims Manager. She moved to Talbot, part of the Validus Group, where she introduced a programme of peer review and a robust claims reporting function, as well as being actively involved in the implementation of ECF. Sara then assumed a corporate operations role establishing the regulatory approval and ongoing management of a scalable international service company platform.In 2012 Sara joined OIM Underwriting Limited, now Pen Underwriting Ltd. She developed and implemented a robust underwriting and claims framework to support the business, negotiated and drafted key facilities and retainers in both the underwriter and claims arenas and then assumed responsibility for developing and implementing corporate governance, the underwriting control framework and conduct risk offering. Latterly she was Director of Governance and Risk with responsibility for audit, risk, business control and risk management, fraud identification and the regulation function.Sara is well known within the industry for taking a logical and practical approach when problem-solving and is adept at bridging the gaps between ‘front end’ business ambitions and FCA regulatory requirements. Sian Fisher is CEO of the Chartered Insurance Institute. Leading the professional standards body for insurance since February 2016 follows a distinguished career in the sector, which has included senior roles at a Lloyd’s Syndicate, a UK and European insurance company, a market leading MGA, a major international broker and US corporate. Sian has also run her own start-up intermediary and was part of the creation of the Managing General Agents’ Association. A graduate of Oxford University with an Exec MBA from Harvard, Sian is a strong advocate for equality. She is a founding member and Executive Chair of the Insuring Women’s Futures initiative and a Committee Member of the Insurance Supper Club. Ms. Fisher is also a Non-Executive Director at Asta Underwriting Management and Vice President of the Insurance Institute of London.